Why is stress relief so important? And how can the technique of Transcendental Meditation be useful in reducing stress symptoms? 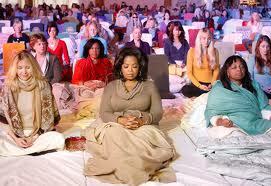 Scientific research shows that Transcendental Meditation changes our response to stress. Transcendental Meditation is a simple, natural and effortless mental technique practiced twice a day for 20 minutes. It is easy to learn from a qualified teacher (it only takes 1-2 hours on 4 consecutive days) and enjoyable to practice independently hence forth. Next TM courses in the Costa del Sol will take place one in May, and a second one in June time to suit everybody. The teaching is very intimate one by one and the follow up sessions are carried out in small groups to ensure you gain the maximum knowledge and benefit from your practice. Our Introductory Conference on TM will be held on Tuesday 18th March at 6pm in Skype. This conference is essential to discover the TM program in detail and also as preparation for the course. To book your place please email me to mtandalucia@mail.com your full name, Skype user name and contact number . Also, you can register by messaging this information through Facebook. "Whatever we put our attention on, will grow stronger in our life"